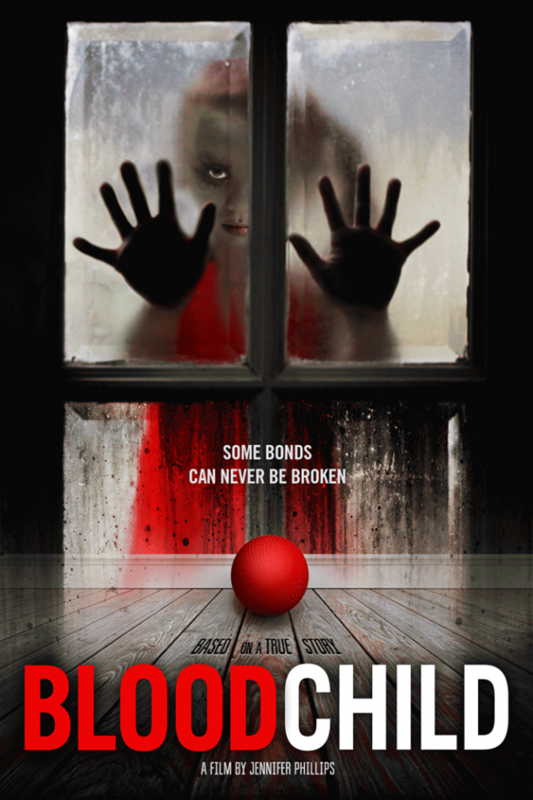 “Blood Child” is a thrilling horror movie that has been making waves in the festival circuit. Written and directed by debut filmmaker Jennifer Phillips, the horrific fantasy was inspired by the Malay myth of the Toyol—more commonly described as ghost children who are raised by black magic and devastate all involved. 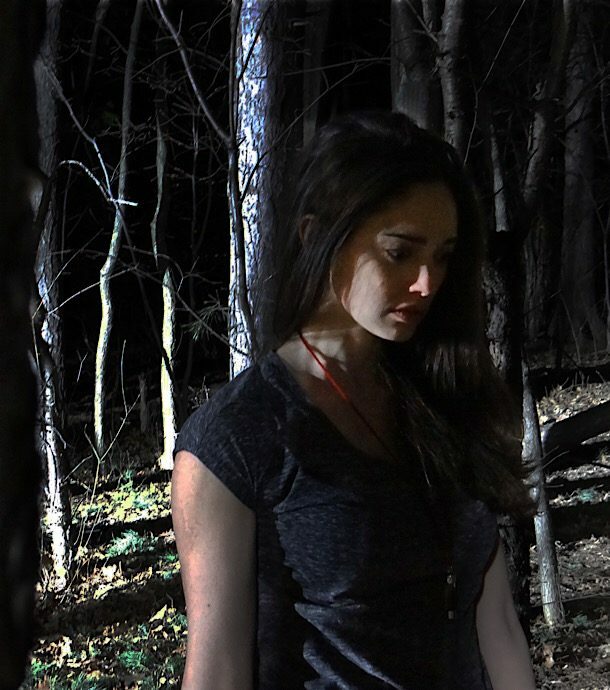 The film centers on the character of Ashley, a woman who suffers a miscarriage in Singapore and enlists the help of a witch doctor to summon the spirit of her lost child. After returning to the United States, Ashley gets pregnant again. She and her husband, Bill, are pleased yet the pregnancy sets off a catalyst of frightening events. Jennifer Phillips recently discussed her inspirations for and experiences making this film via an exclusive interview. Meagan Meehan (MM) of Movie Vine: How did you discover your love for screenwriting and how did that lead to directing? Jennifer Phillips (JP): I have always loved writing from as far back as I can remember. I started writing plays at a very young age, and was writing, directing and acting in all the plays that I wrote for my school every year. I was never good at memorizing the classics like Shakespeare and other traditional works, so to get around that I simply wrote my own. I’m just lucky that my school was supportive of the idea and that my friends were willing to go along with my some of my outlandish and silly stories. I wrote a play that I took to the Edinburgh Fringe called “The F Word,” which was nominated for an Amnesty International Freedom of Expression award. Within that play was a dark piece about mental illness called “Fallen”. Many of my friends who had seen the piece had suggested that it would make a great film and pushed me to seriously consider writing something for the screen. However, I have never been a fan of expanding a short ten-minute piece and making it into a ninety-minute work because some stories just simple do not and cannot be expanded that way without losing some of its intensity. So, I decided to write a completely fresh piece for the screen. As for directing, it evolved organically from the writing. I didn’t want to give up control of my vision so the only way to get around that is to become the director – to put it bluntly…I am a little bit of a control freak when it comes to my writing and how I would like to see my visions materialize…Lol. There was quite a bit in “Blood Child” that was not written into the original script that came out during the filming process. Unfortunately, there was also quite a bit that I had to compromise on in “Blood Child” because of a lack of budget. Hopefully that will change in my next film – if I get a chance to do a next film…haha. MM: How did you come up with the idea for the movie “Blood Child” and how much research went into it? JP: Raising, or rather “rearing” ghost children to be more accurate, is a tale that most children living in South East Asia grow up with. Some call it a myth, others call it a legend, and some others call it a folktale. However, in my household and several other households that I know called this a basic “truth” that we simply did not question. “Blood Child” is a story that has existed in my family for as far back as I can remember. My mother’s side of the family hails from Penang (Malaysia) and Medan (Indonesia), and there have been some members of that side of the family that have personally practiced so called “black magic” and others who have known many people around them who have. I still remember the numerous times that my now 94-year-old aunt told us how she would see these “ghost children” scurry across the ceiling. As a grown up, my scientific mind began to doubt these “truths” and figured that the memory of a 94-year-old woman cannot be totally relied upon to recount a tale from such a long time ago (because according to her this story happened in the 1940s). As part of my extensive research, I interviewed my mother, other aunts and cousins to confirm what I had heard growing up. I also consulted with several local shamans, friends of mine, and other written accounts about the existence of these “toyols” and all of them confirmed that they do indeed exist, and that this practice of rearing ghost children has existed in the region for a long time. With that said, because of the limited budget that I had for the film, I had to change the timeline and make it a modern-day story, because trying to recreate 1940s Singapore, Indonesia and the UK would have been a financially challenging. Yes, I know the film says the couple went back to the US, but according to my aunt, the real couple actually went back to the UK. I took some artistic license in the film, not only to protect the identity of the real people but also to make it a little more identifiable with a younger audience. However, the sequence of events and how things transpired have been told in exactly the way as how my aunt and family have recounted it. BUT…with all that said, the strangest thing about this story is that even after we wrapped, there was still a small part of me that doubted the authenticity of the “true story” bit. It wasn’t until I screened at the LA International Women’s Festival that I started to believe that the hazy memories of my aunt were not so hazy after all. The program director of the festival came up to me after the screening to tell me that her and her entire family grew up with the SAME EXACT story. She said that after watching the screener copy of the film, she was so “creeped out” by it that she went back to her sisters and other family members to ask about the story that they had been told while growing up. She told me and those present at the screening that her family confirmed that the story they grew up with was the same as what I had presented in the film. So, I now wonder if the “couple” actually really went back to the US and not the UK as my aunt had recounted. Since two completely separate groups of people living oceans apart are telling me that this is true then I can only conclude at this point is that the story is true. MM: What do you most like about the characters and the plot? JP: What I love about this film is that the characters are very “human” and the plot is simple and straight forward. We live a in world whereby there is a new horror film born every minute. Our senses have been trained to respond to bigger, more frightening, and greater horrific jump scares. I wanted to go back to basics – so to speak – with this film. Back to a time where horror films were more about storytelling and not so much about what jumped out at you in the dark. It used to be the unseen that scared you the most and that is what I tried to do with this film. While an audience always craves to be scared out of their wits, there are many who still love traditional horror films like “Rosemary’s Baby” and “The Omen.” I am not comparing myself to those films as I am sure that I am far from the master filmmakers who made those films, but I grew up on those films and used those films as inspiration making “Blood Child”. I wanted it to be a film that was as close to being authentic as I could get it to be while at the same time making it as creepy as I could. I wanted it to be the kind of film that gets under your skin especially when you know the truth behind the tale. 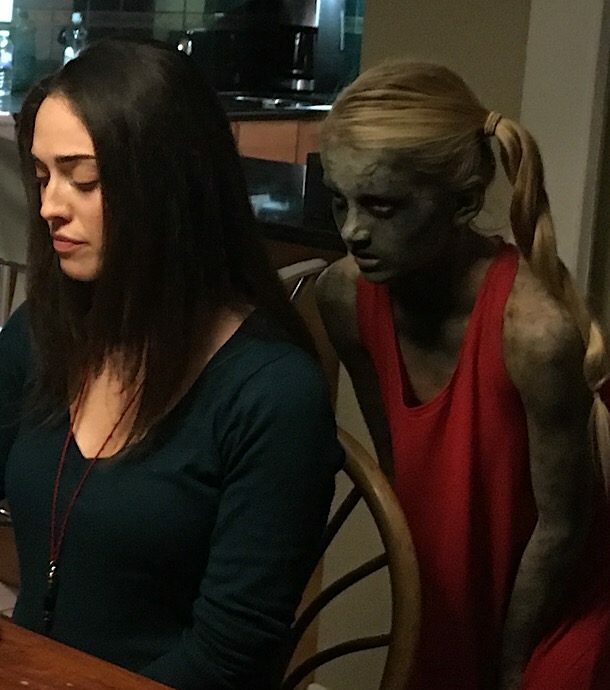 “Blood Child” was never conceived as “just a horror film,” but rather, a film that uses horror to explore and reveal the contradictions that lie within the human condition. Therefore, allowing me as a director/writer to comment on the society in which we live in. The plots deals with three basic societal conditions, the first of which is the devastating psychological effects a miscarriage can have on a woman. These psychological scars can become the driving force for someone to do things that they would not normally consider. This film explores the duality of human nature – of how a fragile psyche can become fragmented when one suffers from depression, which can lead to a spiritual suffering that will ultimately lead to a complete break with reality that results in drastic actions. At the same time, as with all things that occur in the world, we must not forget a basic human rule which is that every action (even with good intentions) has a consequence. Secondly, I also wanted to make this a “thinking man’s” film. What I mean is that most horror film always have things go wrong “in the dark”. But in my experience,that is simply not the way “ghosts encounters” happen in real life. Ghosts come even when the lights are on, and generally when things go bump in the night, people normally turn on the lights first before they run off to investigate – at least that is what I do (haha). So, I tried to keep that in mind when my characters were facing those situations in the film. On a social front, we live in a world whereby we are still not all made equal. There are parts of the world who still believe in “class” separation, racial discrimination and gender inequality. I used Siti as a way to bring out the racial and class issues that still exist in certain parts of the world today. How the DiAngelo’s treat Siti (with exception to Ashley) is a true depiction of how hired help in South East Asia is treated, even till this day. The misogyny that is subtly displayed by Bill and his friends (even if Bill might not recognize this in himself) is something that women in general still deal with today all over the world, no mater how much we would like to believe otherwise. What I loved about the characters was not so much what they said, but what we saw in their actions. The best part of the film I feel was the complex relationship between Siti (played by Cynthia Lee Macquarrie) and Ashley (played by Alyx Melone). Their characters were so integral to the plot because we never knew what to make of Siti’s character and whether or not she was simply a bystander watching things unfold around her or an enabler that helped Ashley “create the unthinkable” and then help her keep a deep dark secret. MM: What is your favorite scene in “Blood Child” and why? JP: I actually have two favorite scenes. The first of which is the closing scene of Siti “confessing” to Ashley the bomoh’s full instructions the night that Anna was made. It wasn’t so much about what Macquarrie’scharacter said but rather the spectacular way that Macquarrie played Siti. Non-verbal acting is a craft and that particular scene exemplified the height of that craft. I believe that her [Macquarrie’s] acting skills in that scene injected both heart and fear into the film. The second scene that I loved was Ashley’s (Alyx Melone) drowning scene. Unfortunately, the final edited version was only part of the version that was in the original edit that I loved. The original edit had the actual underwater coverage of Melonedrowning. It was so authentic that I found myself holding my breath the entire time watching the footage. But because we used a GoPro to shoot the underwater segment, the quality of that footage did not match the rest of the film so my editor made an executive decision to cut it out. On hindsight the next time this happens I will probably leave it in even if there is a slight difference in film quality. MM: How did you get the money to film this and how did you find the locations and cast? JP: Haha…indeed a question that many want to know. I used the money that I had saved from working my normal job – I am a freelance strategic communications consultant – and invested it all into the film. So hopefully I’ll get that back plus a little more so that I can go on to do another film…hahaha. I always knew I was going to shoot in Toronto as I have a large network of friends there whohave been in the industry for a long time. My line producer Emily Schooley was the one who found our main location. She literally wentaround Toronto to scout for locations on her own and came up with the gem that finally shot in. As for cast, I had written a few of the key characters (Siti, Naomi and Renee) specifically with the actors that I had earlier cast in mind. Cynthia, Charlotte and Lisa were all actors and friends that I had been fortunate enough to meet through the years, and had all been actors in The F Word. The rest of the actors were cast through an open audition call. MM: What has been audience reactions at film festivals and how did you decide which ones to submit to? JP: So far so good…fingers crossed that it will continue as more people see the film. Although I believe that many (both audience and critics) have been very kind and have forgiven some of my missteps as a first-time director…lol. But seriously, I believe that this is a film for audiences who love traditional horror storytelling. The feedback that I have been given is that they love the journey the film takes them through and that they are not simply bombarded with one continuous jump scare after another the second the film starts. As for film festivals, I really didn’t make “Blood Child” as a festival film. I made it with the intention of it being a commercial film without any festival exposure. However, after the film was done, my cast and crew persuaded me to submit it to several Canadian genre festivals because they felt like this was a story that they wanted to share with their community (90% of my cast and crew is Canadian). So, I combed the internet and film festival submission sites for festivals that would be inclined to screen a film like “Blood Child” and submitted it to them. MM: How many other movie projects have you worked on or plan to work on? JP: Now that “Blood Child” is released, I have started on two other scripts. Both are horror, of course. One is another true story and the other a South East Asian folklore. I still need to do a bunch of research in order to finish both scripts. Hopefully one of them will be completed in a couple of months. Although as someone who does all the writing, directing and producing, the writing the easy part. It is what comes after that is the hardest part of filmmaking – funding. I guess this means that I need to start working and saving again so that I can fund my next project. Unless of course I happen to get lucky and find some angel investors willing to take a leap of faith on me to make my next film…lol. I am also hoping for a larger budget as I can do a lot more in terms of special effects with a larger budget. MM: How do you hope your filmmaking career evolves from this point forward? JP: Of course, as a filmmaker I hope that I can make films for the next fifty years! But seriously, I am hoping that I can get better from here. “Blood Child” is my directorial debut and it is in no way a perfect film, which means there are flaws. Hopefully I will be lucky enough to get a few more films under my belt so that I can continue to hone my craft. As with all things, practice makes perfect. As long as I continue to evolve, learn from other successful filmmakers and films, I should be able to get better with every film. This doesn’t mean that I am looking to copy other filmmakers but rather use them as a classroom to generate my own ideas and create my own signature for the films that I make. The important thing for me is to continue to be true to my storytelling. I feel like I have only just begun to play in this sandbox. I hope that as time goes by, I will be a more effective director and be an even more compelling storyteller. If I am lucky enough, I will be able to find a core audience/fan base that will believe in me and my kind of storytelling. MM: Is there anything else that you would like to add? JP: Haha…this is a loaded question…give me a platform and I can talk forever! But on a serious note, I haven’t yet announced this on any other platform, my film company Castles In The Air Pictures has a social mission built into the films that we make – it’s called Scream for Green. We came up with that name because we do horror films (Scream) and we will donate a portion of our profits (Green) to social causes around the world, especially in communities that we shoot in, communities that our cast and crew are tied to, and to causes that support both the environment and women and children. This way, everyone who watches the film will know that their 90 minutes of entertainment supports something greater than themselves and us the filmmakers. The money that they spend to support the film is a contribution to a social cause that can affect change in the world. I decided long ago that this has to be the mission statement behind all the films that we/I will make. Passion is about doing and supporting what we love. We are hoping that even non-horror fans will support the films we make because complex problems in the world cannot be solved by a single solution, but we can certainly provide a single solution as a start to solving complex problems. Thus, in closing, please help us spread the word (even to you non horror friends), follow us on our various social media platforms so that we can keep you abreast of our progress – we’ve only just begun. Comments for Blood Child’: Interview with writer and director Jennifer Phillips are now closed.